According to MobiHealthNews, the BlackBerry is tops for healthcare because of its ability to provide security and privacy management. As a public healthcare professional, this feature might impress you. Further, this list of the top 25 BlackBerry Apps for public health professionals can make your life even easier. 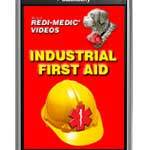 The following apps are categorized by health and safety, communications and productivity. Each app was chosen with the public health professional in mind, both in the office and on the road. Each app also was chosen to complete as many tasks as possible without loading your BlackBerry up with unnecessary applications. Advanced First Responder application contains a complete audio/video first aid training course demonstrated by certified Red Cross trainers. Fifty-five video demonstrations are included, encompassing all the material from a standard certified course, plus advanced techniques. Emergency Info allows you to store your most important personal information in your BlackBerry. Add as many emergency contacts as you want, and they all are associated with a Call button for emergency staff to call your contacts directly and immediately. Emergency Information is another emergency contact app that enables you to list medical information as well as personal data and contacts in a wallpaper-featured database. EU Travel Help Essential and Emergency Help is a great tool for your BlackBerry if you ever travel overseas for work or pleasure. This app can provide useful information to make your trip abroad easier, safer and more productive. iWitness offers a powerful suite of GPS-enabled emergency alert and reporting tools to help in situations from getting lost to an urgent SOS. You also can create a group of up to 16 individuals for an iWitness group. Lexi-Comp can keep you updated with Lexi-Comp’s trusted clinical knowledge. This application includes 30 days free access to all databases Lexi-Comp offers for BlackBerry, plus hundreds of images, charts, and tables, available with a cell or wifi connection. 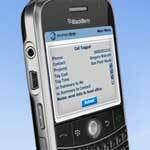 MSDS for BlackBerry is a Material Safety Data Sheet that contains information on the potential hazards of any chemical product. My911 can monitor whether you’ve been in an accident or not, and help you log the accident into your online portal data. Get auto assistance, nurse line and an online location-based solution for any auto emergency. Relief Central includes the World Factbook from the US Central Intelligence Agency (CIA), the Field Operations Guide from USAID, MEDLINE Journals, and Relief News from the CDC, Red Cross, FEMA, ReliefWeb, and more. This free resource delivers up-to-date information to assist those sent to disaster sites. Call Time Tracker provides you with an Excel sheet of your mobile categorized by client and project. Use that report to bill your time, expense part of your bill, generate a timesheet or to make sense of your bill. Contacts Cleaner finds and merges duplicate contacts in your address book with a single click. Dexknows Yellow Pages is a business and people finder that provides intuitive search features and the most relevant and comprehensive local business information quickly. e-Mobile Family Locator is more than a family-oriented safety device. You can use this app for emergency situations, with the ability to locate anyone by simply sending a text message or email. Nimbuzz is the only free to use multi-community instant messenger available ‘natively’ on Blackberry allowing you to chat for free with all your online friends on Skype, Facebook, MSN, Yahoo!, Google Talk, Gadu-Gadu, Hyves and many more. Snaptu turns your favorite Web sites into ultra-fast mobile apps that work on your phone. Keep all your mobile essentials, such as Twitter, Facebook, Picasa and news from all major providers in one place. WordPress for BlackBerry can help you update your Web site with posts, photos, videos and content management. Both WordPress.com and self-hosted WordPress 2.7+ sites supported. Beat the Traffic Free provides live traffic maps and is the easiest way to enjoy a hassle-free commute. 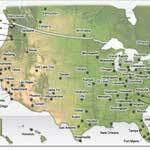 The full version provides detailed lists of accidents as well as traffic predictions. Evernote lets you capture any experience, idea, or inspiration as it happens, wherever you find yourself. Evernote for BlackBerry also lets you search and find all the notes that you made using Evernote on your desktop, so that all of your memories are always at your fingertips. Lister is a simple and easy-to-use application that allows you to create and manage multiple lists at once. You never need to enter the BlackBerry menu, and you can add optional due dates and reminders for any item. Location Notes allows you to keep notes associated with GPS coordinates from your GPS-enabled BlackBerry phone. Notes that have been saved can be sent as e-mail, or exported to a BlackBerry memo. Mileage Tracker Pro ensures accurate and timely records of your trips. Enter odometer readings and trip details and sync your reports securely. Pocket Informant is designed to manage your life with a powerful calendar, task and management software. View agenda, day, week and month views alongside task and contact managers. RepliGo Reader is the first native PDF reader made specifically for BlackBerry. RepliGo Reader opens and displays PDF files natively. SmartBDocs enables users to create new Word, Excel and PowerPoint documents with one click. To use this app, you need Office packet for mobile phones. Where is a local portal that can connect you with people, places and things around you everywhere you go, while also saving you time and money. Local information includes weather, news, restaurant reviews, a store locator for top brands of your choice, cheap gas, traffic updates and more. This entry was posted in Technology and tagged Blackberry, Blackberry apps, Evernote, health apps, safety apps, WordPress. Bookmark the permalink.